National Protective Services is a full service solutions provider combining manpower and electronic security to support our clients with an integrated security program. Security solutions that integrate people and technology is what we specialise in. Year after year, National Protective Services delivers unrivaled customer driven and focused security services to a growing list of residential, commercial, industrial, not for profit and government organisations throughout Australia. National Protective Services commenced operations in 1988. Since this time, the company has provided its clients with stability, consistent award winning customer service and extensive experience. This expertise comes from a company that has a long history within the security industry, and a philosophy of working closely with a large and diverse customer base, to build strong and enduring partnerships that align with it’s clients’ objectives. The company has always focused on innovation, and this has assisted us in winning many awards in such categories as; customer service, ethics and training. Our CEO, Rachaell Saunders, was a finalist for the Telstra? Entrepreneur of the Year award and has been highlighted in many advertising campaigns for other organisations such as Monash University, Australian Super and Industry Super. National Protective Services achieved ISO quality certification in all divisions of the business in 2001. The company has a strict audit regime and clear systems and procedures in place. 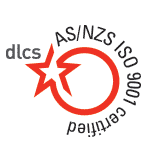 This assures our clients of consistent service delivery, and continual improvement. National Protective Services takes its responsibilities regarding OH&S seriously, and takes all measures necessary to ensure the safety of our staff and clients, as well as assets. We want everyone associated with our organisation to ‘Return home safe’. This mantra extends to include clients and sub-contractors in our ‘Safe Family’. 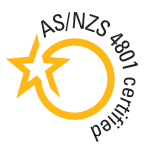 National Protective Services is accredited against the Occupational Health and Safety standard AS/NZS4801, and is audited against this standard. National Protective Services has a strong concern for the environment and its impact in the world. All staff are required to comply with our Environmental Commitment Policy which governs energy and water usage, waste reduction and sustainable purchasing. National Protective Services joined the State Government and VECCI initiative called “Grow me the Money”. This program is designed to help business to use fewer resources and generate less waste. Through our participation, we successfully reduced our carbon footprint and gained Silver status within the program. National Protective Services continues to monitor and track its resource usage, and we report against measures internally. We choose to support various charities: one of which is Love Without Boundaries. 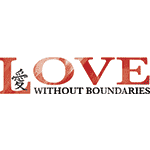 Love Without Boundaries is a charity organization that cares for orphaned and impoverished children.When we are awarded a significant contract or a significant contract is renewed, we sponsor an orphan in China for life changing surgery. We have elected to support children that require cleft lip/palate surgery, as the survival rate for these babies is low without surgery. After surgery they are much more likely to be adopted by a family, allowing them the chance to experience a better life. Over many years of supporting ‘Love without boundaries’ we have seen so many children have their lives completely changed for the better. To read more about Love Without Boundaries click here.